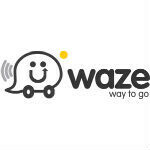 When it was first announced that Google had agreed to purchase Waze, there was some worry from users on Windows Phone that the acquisition could lead to trouble for the planned Waze app for WP, but it looks like the plans are still on track. Google said that it would be leaving Waze as a separate company, and simply look to integrate certain features between Waze and Google. But, the closed beta of Waze for Windows Phone looks like it is moving along nicely according to a reader at WMPU. The UI of Waze is being redesigned to more closely fit the Metro world of WP. On the features side, it has most of what you'd expect like day/night mode for navigation, options to avoid tolls, get the fastest/shortest route, search addresses, points of interest, and get gas prices from sources like Google and Bing. And, of course, there are the usual reporting tools to let other Wazers know about traffic jams, accidents, and police locations. Still no word on when the Waze app for Windows Phone might come out of beta, but things are looking pretty good so far. Couple of factors might have influenced 1. App development effort could have come to an end... 2. Nokia has patent that could affect waze this could help is keeping MS happy... On the other hand, i am happy Google is not porting any of it's services to WP... Android is an open source project and MS is milking money of it and lot of money from OEM's... MS is so evil...Why should google give their services for free to MS? Hopefully they'll also bring over Google Maps (which Waze will likely be merged into). The only reason I need this is to avoid speed traps. It's common for me to go 100mph on a highway. I drive on a highway twice weekly crossing states, and I need to save time.